I recently read this press release from IBM. The following information was provided. IBM Global Business Services unveiled its new report, "The End of Advertising as We Know It," forecasting greater disruption for the advertising industry in the next five years than occurred in the previous 50. To examine the factors influencing advertising and explore future scenarios, IBM surveyed more than 2,400 consumers and 80 advertising executives globally. The IBM report shows increasingly empowered consumers, more self-reliant advertisers and ever-evolving technologies are redefining how advertising is sold, created, consumed and tracked. Traditional advertising players risk major revenue declines as budgets shift rapidly to new, interactive formats, which are expected to grow at nearly five times that of traditional advertising. To survive in this new reality, broadcasters must change their mass audience mind-set to cater to niche consumer segments, and distributors need to deliver targeted, interactive advertising for a range of multimedia devices. Advertising agencies must experiment creatively, become brokers of consumer insights, and guide allocation of advertising dollars amid exploding choices. All players must adapt to a world where advertising inventory is increasingly bought and sold in open exchanges vs. traditional channels. This gives marketeers even bigger challenges as the market is becoming even more diversified. Canadians now spend on average 14 hours per week on line. This is more time than is spent watching television. As the market changes so will advertisers. It will become more important for products to be even more consumer friendly as social networks will now dictate the next hot product. Traditional advertisers will need to work a lot harder in finding out who their audiences are and spending way more time developing customer loyalty. In the next few weeks we will talk about some of things you can do to successfully cultivate customers and find ways to sell is an every changing market. 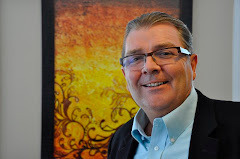 Kensel J. Tracy is a a marketing coach and Senior Partner at the Corporate Coachworkz Inc. located in Chelsea, Quebec. I think the future is looking pretty interesting as a marketing person I am not sure what the future holds, back in 1995 we felt the same way about the internet and look whats happend, I guess you just need to be optimistic and hold on to dollars and look at opportunities as they come along.